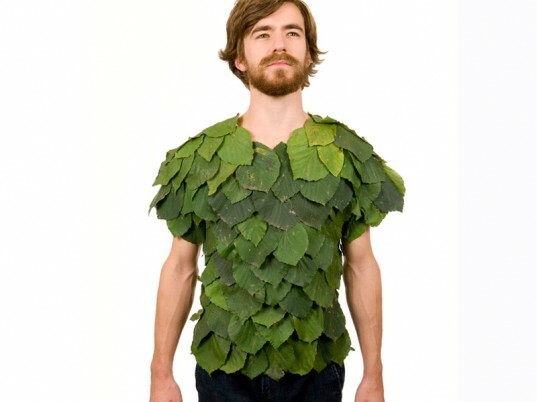 Next time you want to “leaf” a lasting impression on a date, why not follow artist Dave Rittinger’s lead and wear a shirt made entirely from leaves? (Please don’t actually do this unless you never want to see the person again). Called “Leaf Series,” Rittinger’s colorful fashion line consists of five shirts, each crafted from the leaves of a different species of tree. The leaves were collected at Prospect Park in Brooklyn and glued on one by one to a self-made body-form. The result: An ensemble that is sure to be poplar, uh, popular with the ladies. After snapping the pics, Rittinger returned the shirts to the sites where the leaves came from. As you might have guessed, the rugged young man modeling the shirts is none other than Rittinger himself. “In this work, achieving the unattainable 100 percent is the concept,” he explains, “which also effected the way I modeled [the shirts], as I’m trying to look a bit smug. I have to embrace a bit of tongue-in-cheek self-deprecation in my work while poking at all the institutions along the way.” After snapping the pics, Rittinger returned the shirts to the sites where the leaves came from. I'd wear that! BUT... Glued on? and then returned to the area from which they came-- with or without the glue? What kind of glue? 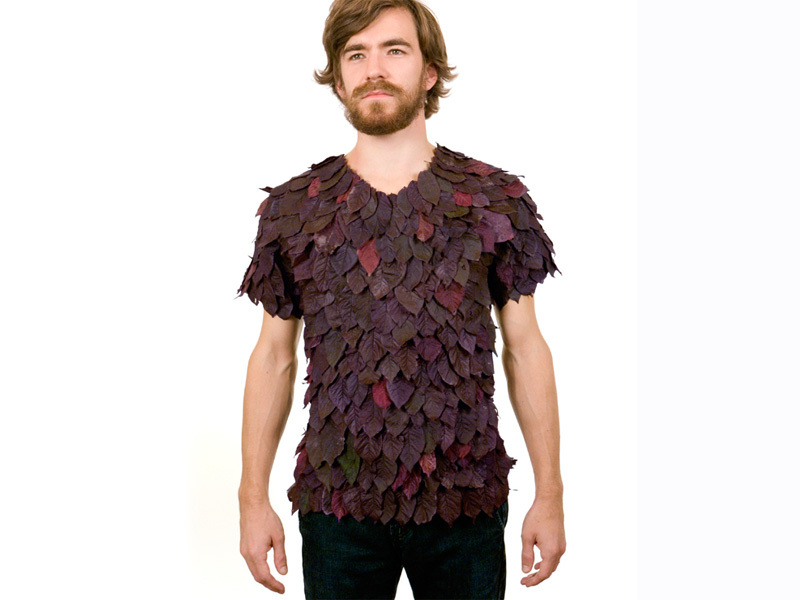 Next time you want to "leaf" a lasting impression on a date, why not follow artist Dave Rittinger's lead and wear a shirt made entirely from leaves? (Please don't actually do this unless you never want to see the person again). Called "Leaf Series," Rittinger's colorful fashion line consists of five shirts, each crafted from the leaves of a different species of tree. The leaves were collected at Prospect Park in Brooklyn and glued on one by one to a self-made body-form. The result: An ensemble that is sure to be poplar, uh, popular with the ladies.